Last night the House of Lords voted on an opposition motion against Theresa May’s EU withdrawal deal and also a no deal Brexit by a massive majority of 169. Peers from across the political spectrum voted 321 votes to 152 for Labour peer Lady basildon’s motion to reject a no deal outcome and regret the terms of the government deal and future relationship with EU. 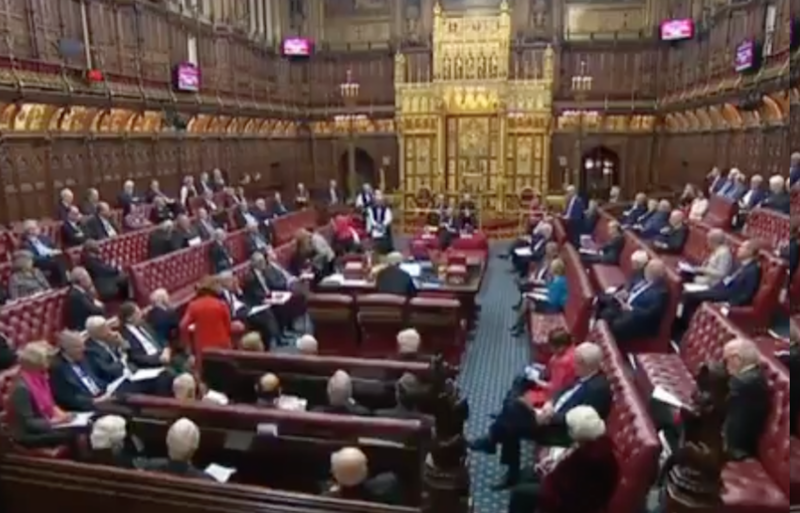 The Lords voted overwhelmingly less than 24 hours before the Commons meaningful vote on Brexit that Theresa May’s deal “would damage the future economic prosperity, internal security and global influence of the United Kingdom.” The motion also urged MPs to “emphatically reject” a no-deal out come. Last night’s vote was dubbed a “meaningless vote” as it is hardly binding on the Government and today’s vote in the House of Commons between 7 and 9pm is a “meaningful vote” on the government’s EU withdrawal deal. But it is a signal of how flawed all sides of the political spectrum regard the present EU withdrawal terms.